Custom Wacky Flash LED Jumbo Party Shade Eyeglasses are coming with the power of 10 LED lights to make the nighttime party great fun. These oversized custom party sunglasses can be activated by pressing the button in the battery house located behind the ear. These custom sunglasses with a total dimension of 8.25” width, 2.9” height and 6” depth also have an imprint space of 1.75" x 0.4". Order now and enjoy free online proofs and free artwork design services. 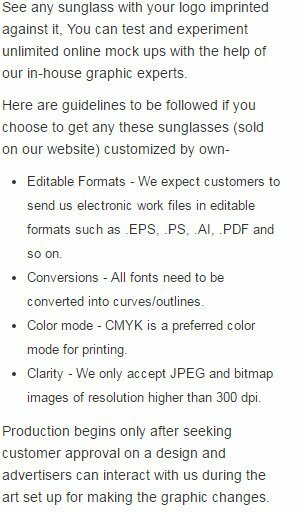 Request a quote to know the value savings that you can avail on bulk orders of Custom Wacky Flash LED Jumbo Party Shade Eyeglasses. When ordering blank items of this product either exactly 1 or atleast '+144+' must be ordered!